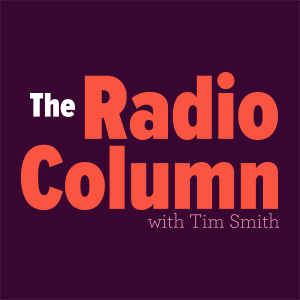 The Radio Column is a talk show exploring the hurdles and victories of life and work. Episode #028 · 04 minutes ·  Fri, Jun 22, 2018 Tim talks about his new show premiering soon on Changelog and being happy with the things you have and life you lead. Episode #027 · 07 minutes ·  Wed, Jun 20, 2018 Tim talks about "the story of the two lenses", and how it left them with no money on a business trip. Episode #026 · 02 minutes ·  Mon, Jun 18, 2018 Tim talks about Fluent/Velocity, how it went, and getting back into the routine now that it's over. Episode #025 · 05 minutes ·  Tue, Jun 05, 2018 Tim talks about this revolutionary thing called sleep, and how he's finally gotten into a better sleep routine. Episode #024 · 04 minutes ·  Wed, May 30, 2018 Tim talks about being nervous about an upcoming assignment and how embracing the unknown and making mistakes, makes you better. Episode #023 · 05 minutes ·  Tue, May 22, 2018 Tim talks about admiting to himself that he needs a break, and how doing that already helps him feel better. Episode #022 · 04 minutes ·  Fri, May 18, 2018 Tim talks about not caring about what other people may think, what that really means to him, and pushing your creative boundaries. Episode #021 · 06 minutes ·  Tue, May 15, 2018 Tim talks about lacking motivation, how ironically his lack of motivation gave him the topic for today, and how sometimes that's just ok. Episode #020 · 11 minutes ·  Fri, May 11, 2018 Tim talks about burnout and about the hiring practices in technology. Episode #019 · 03 minutes ·  Wed, May 09, 2018 Tim talks about his third wedding anniversary. No advice or life lessons in this one!